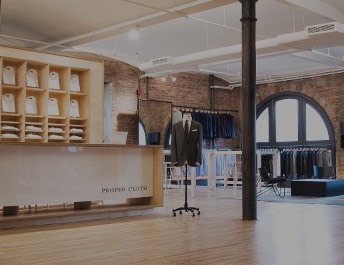 To keep your dress shirts looking their best, you’ll need to have them pressed. We usually suggest sending them to the cleaner, but if that’s not possible you’re going to need to know how to iron a dress shirt yourself. There are many ways to do this effectively, but here we’ll break down our method step by step. 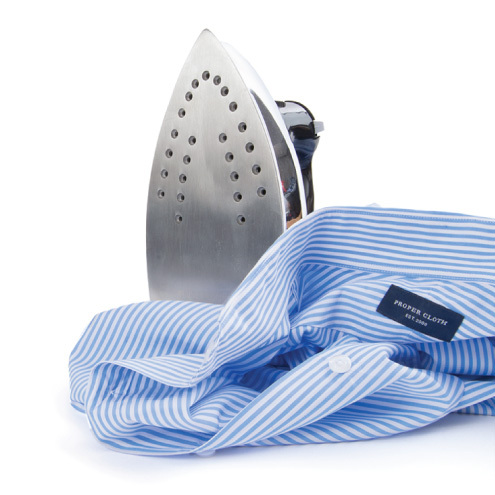 You’re going to need an iron. Preferably the iron lets you pour water in (for steam), and better yet it has one of those slippery teflon coated bottoms. If the iron can’t spray water out the front you will want a spay bottle of some type that can spray a fine mist . You’ll also need an ironing board. If you’re in New York, you have a little ironing board you can set on your dinky little dining room table. If you live in California, you’re wondering what an ironing board is because you wear nothing but t-shirts. If you live anywhere else, you have a nice big fold out ironing board you can setup in your living room. Whatever works! Setup your ironing board in a comfortable place where you’ll be able to spread the shirt out without wrinkling it all over again. If you’re planning to iron several shirts in a row make sure you can see the television from this angle. Plug the iron in and turn the dial to point to “cotton” or whatever the hottest setting is. We advocate starting with the back of the shirt because this is going to get wrinkled as soon as you put it on and sit down anyways. Unbutton the shirt completely, and spread it out over the ironing board. Put the dress shirt on the board so that the narrow end of the board is going into the back of the shoulder of the shirt and the edge of the ironing board is along the side of the shirt. 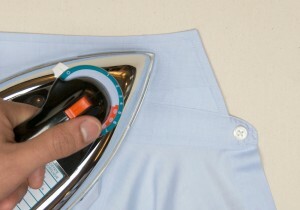 With moderate pressure, slide the iron down the shirt top to bottom, being careful that you keep the shirt flat and don’t actually iron wrinkles into the garment. Use a little steam or spray some water on any wrinkles that aren’t going away easily. Once you’ve done one side of the back, slide the shirt over and do the other side just the same. Iron the sleeves (one at a time). Lay the sleeve long ways on the ironing board and carefully flatten the sleeve with your hands such that it folds along the hem on the bottom of the sleeve. Starting from around the arm pit area, iron toward the cuff and away from the bottom hem. It’s optional to iron in a crease on the top of the sleeve, but if you do this crease should be straight. If you don’t want a crease, just iron close to the top but not over it. Repeat on the other sleeve. This is the most tricky part to get right but also the most visible since it’s right up by your neck and head. For this area you’re going to want to use the narrow pointy side of the ironing board. Pull one shoulder of the shirt over this part of the ironing board such that you have a clear view of one side of the yoke and the front of the shirt just below the yoke. The collar should be sticking up straight and curving around in a circle. Spray this area down to be damp and iron carefully around the curve of the collar. Now we do the collar. Take out the removable collar stays from the shirt collar (don’t lose them). Button down collars won’t have collar stays, but you’ll need to unbutton the little buttons that hold the collar down. Unfold the collar so that it is “popped” and lay it flat on the ironing board with the back facing up. Spray the collar down with a good amount of water and give it ~30 seconds to soak in. Iron from the middle of the collar outwards all the way to the tips of the collar points. Because the collar is a thicker, stiffer piece of material you may need to press slightly harder than you would for the rest of the shirt. When you’re done, put the collar stays back in the collar and fold the collar down again. 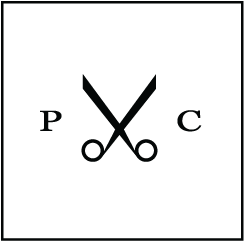 If you want you can also fold the collar down and iron in a bit of a crease at the front of the collar so that it will angle down sharply. You won’t be able to iron this crease all the way around since the collar is designed to curve, but a little bit of a crease at the front can make things look a bit sharper. Finally, do the front of the shirt. Hopefully, by now you’ve got the hang of it. Do one side at a time. Be careful of the buttons. Make sure the front placket is not folded over in a way it shouldn’t be. 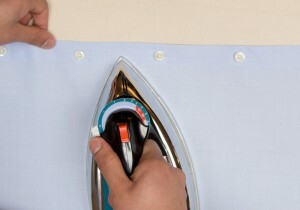 Use the point of the iron to get in the areas up around the front of the collar. 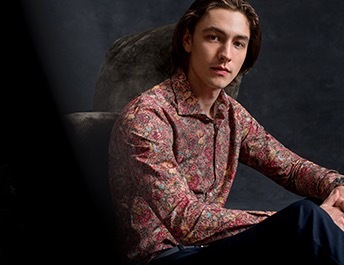 If the dress shirt has a pocket, this can be tricky. You can be trickier. 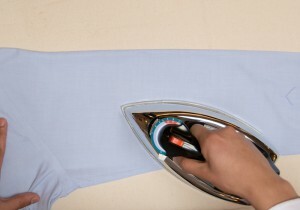 As you push the iron down on one side you can pull gently on the other to keep things tight and straight. How Much Will a Dress Shirt Shrink?